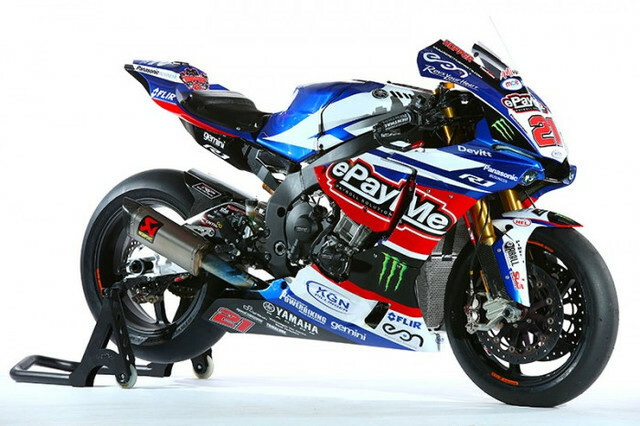 Tommy Hill puts 2016 ePayMe Yamaha Superbike up for sale!! Only if they throw in the paddock stand. If you want to own the a championship-winning MCE British Superbike, here’s your chance. Tommy Hill has put up for sale John Hopkins official ePayMe Yamaha R1 Superbike from this season and it is the one on which Josh Brookes took the 215 title with Milwaukee Yamaha. Built with Official Yamaha Racing parts, Factory Ohlins suspension, factory wiring looms and 2D Carbon Fibre Loom Boxes It’s the best R1 for sale in the industry right now. Full of Official Yamaha parts which unavailable to the public. The race bike will also come with a spares package worth around £5000. Wheels, discs, Tyres, fairings and much more. It has just had an engine refresh, a brand new Frame, along with brand new engine mount bolts - plus renewed bearings and brand new official Yamaha down pipes. Also included are race fuel mapping, data sheets and setup sheets, gearing. Original cost was around £62,000 but it’s priced at £42,000.00 for a quick sale.